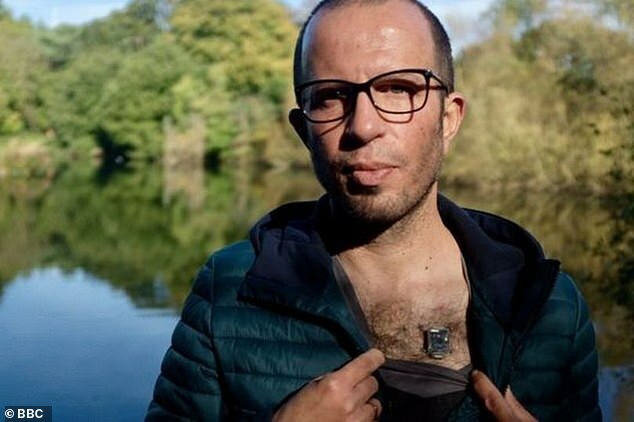 A biohacker claims to have developed a ‘new human sense’ after implanting a Bluetooth compass into his chest. Liviu Babitz, 38, is the chief executive of London-based tech company, Cyborgnest, which designed the ‘North Sense’ implant. The inch-long (2.5cm), water-resistant device, which is attached to the skin via a titanium piercing, gently vibrates each time he faces north. This, he says, ‘unlocks the power of the human brain by creating new neural pathways’ and provides extra sensory information. Mr Babitz hopes that his in-built navigation system – which relies on a standard GPS chip – would allow people to experience the world differently, much like an animal, and could see an end to reliance on mobile devices. Furthermore, he also believes it could potentially help blind people navigate their surroundings more effectively. Speaking to the BBC’s Victoria Derbyshire show, Mr Babitz said: ‘You walk on the street staring at your phone. ‘You want to get somewhere but you have no idea what’s happened in the world around you because all you did was stare at the screen on the way. 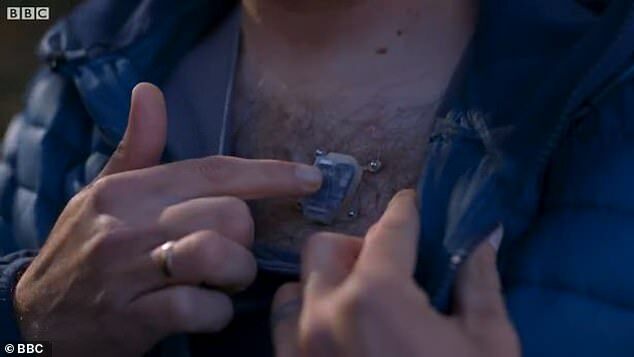 Unlike microchips, the silicone-coated device doesn’t have tracking abilities and is unable to store data, meaning it can be used without surveillance. However, some have questioned whether the North Sense device is any more effective than a smartphone. ‘Any standard smartphone, tablet, or almost every electronic device out there with Bluetooth capabilities can do the exact same thing,’ said one critic. European nations are generally stricter in their regulation of genetic engineering than the rest of the world. Rules in relation to products for human consumption are extremely rigorous in Europe, particularly when compared to the US. Laws on experiments conducted by amateurs vary from country to country with some states, like Germany, prohibiting them outside of regulated and supervised labs. The UK and US do not currently have laws in place to regulate the use of DIY kits in the home or experiments taking place at community labs. But leading academics and security services like the FBI have warned that the technology could be used to create biological weapons.